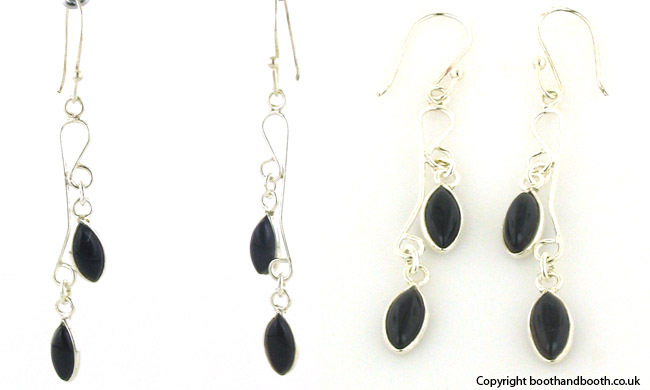 Sterling silver black onyx earrings. 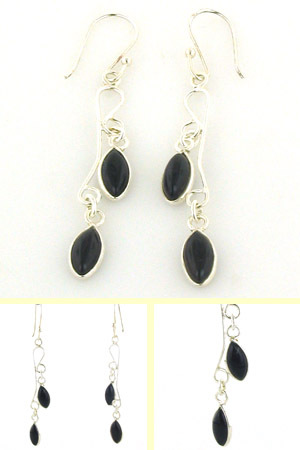 These are long pretty earrings with 2 marquise shaped black onyx gemstones dangling in the sterling silver design. 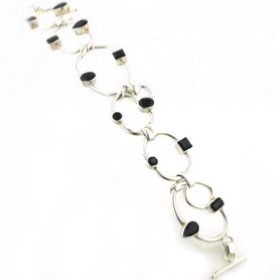 Light and easy to wear, these earrings dance in your ears as you move your head. 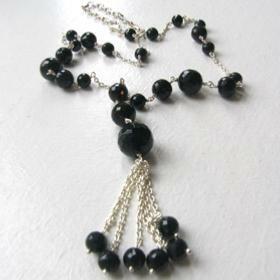 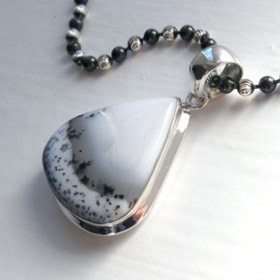 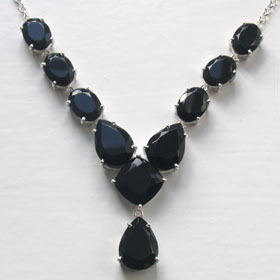 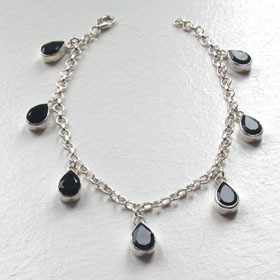 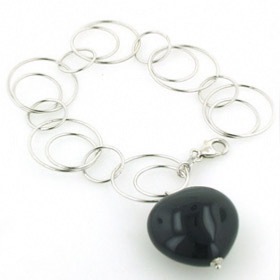 An excellent coordinate to a black onyx bracelet, black onyx ring, black onyx necklace or black onyx pendant. 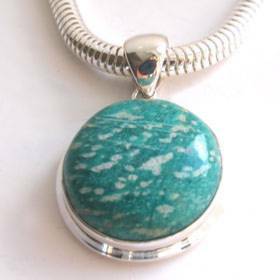 These earrings are also available in turquoise. 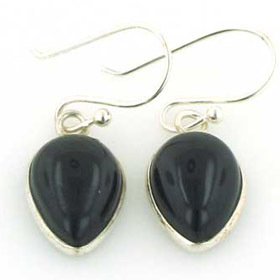 These black onyx earrings are packed in a gift box and delivered free anywhere in the UK.